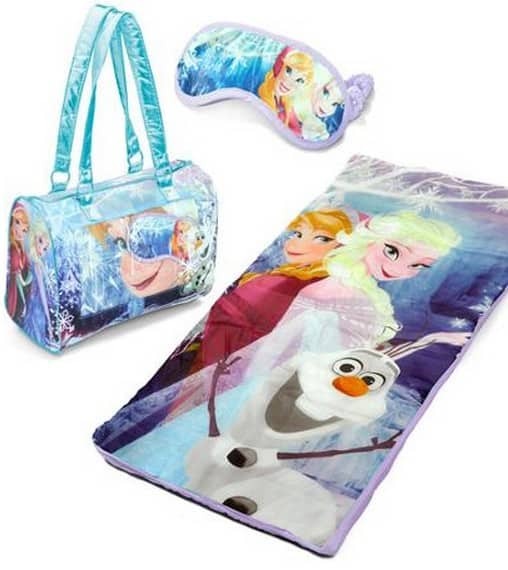 Disney Frozen 3-Piece Toddler Sleepover Slumber Sack only $19.98 (reg $35), FREE Shipping Eligible! Right now you can purchase the Disney Frozen 3-Piece Toddler Sleepover Slumber Sack at Walmart for only $19.98 (Originally $35), plus if you choose store pickup you can avoid any shipping fees. You can also get FREE shipping to home with any $50+ order.